I am so excited to pass along some more information about another fun Virginia Readers' Choice book for Book Talk Thursday this week! Each year we have to be observed for a peer as part of our evaluation process. I am lucky enough to spend a good half hour in my friend's 4th grade classroom. 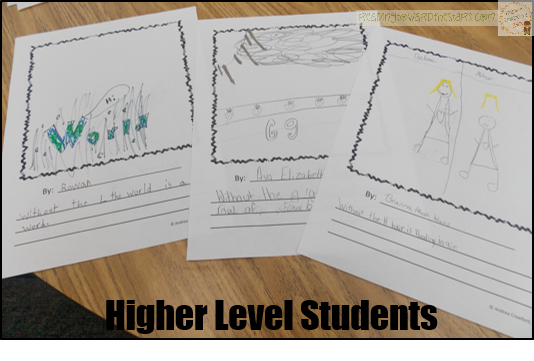 I took the opportunity to read them a fun picture book and use it as a writing model. I read the book Take Away the A by Micheal Escoffier to them. While reading it, they had fun figuring out the words and looking for a pattern. After reading the book, they worked to create their own ideas for a book. 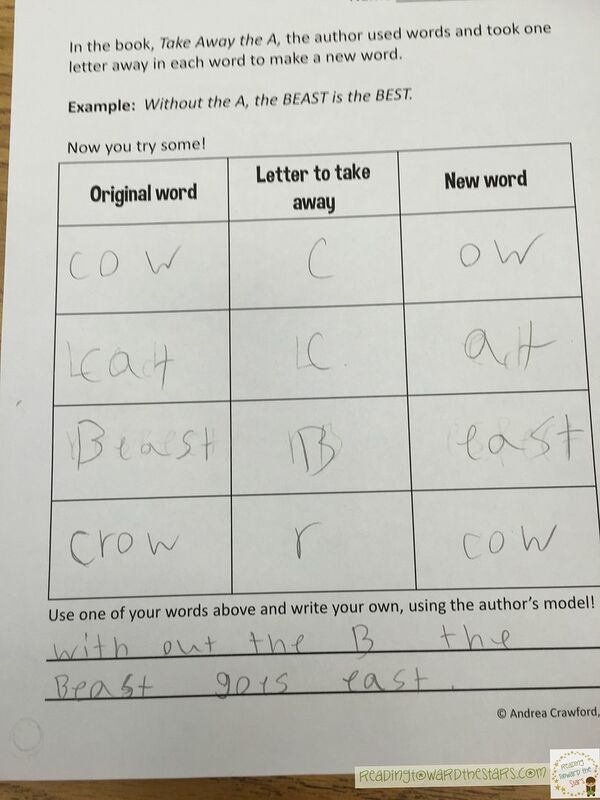 They used the chart to think of words that could lose a letter to make a new word. Then they took one word and created their own picture and sentence for the book. 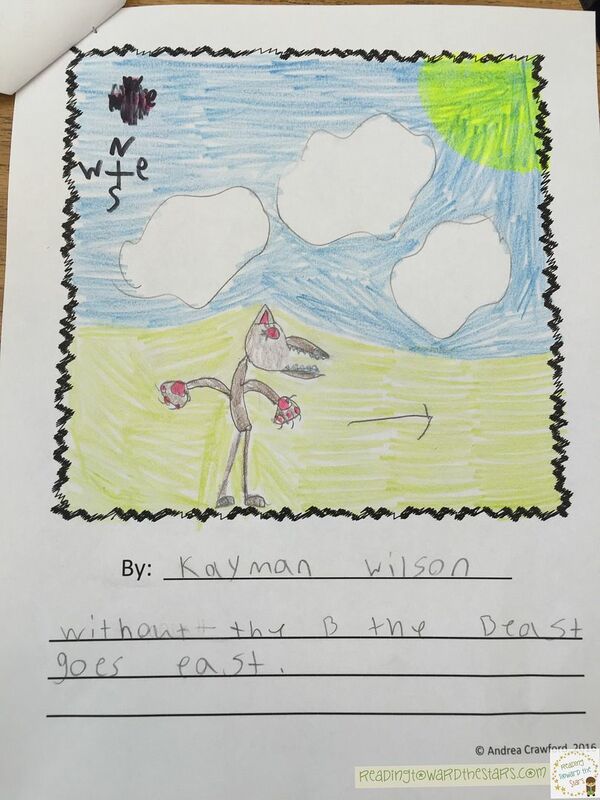 What I love about the lesson is how the students at all levels were able to create their own pages with little to no help. 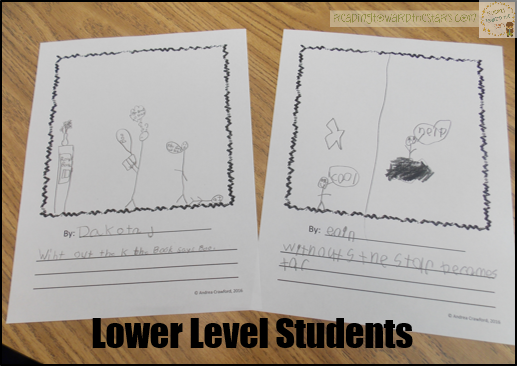 Here you can see how even the lower level students came up with their own ideas, and how the higher level students used their thinking to create their own. I loved the excitement in the fourth graders' eyes as they started creating in their minds. You can grab the freebie to this book by clicking here or on the picture below. And it's time for a new link up! Link up with a fun book and share with the world! Tune in next week as I share another fun Virginia Readers' Choice book with you! I love this idea! So many good skills and thinking going on! Wow!! What a great book! Thanks for sharing.